Plugin to insert the Google tracking code to pages. 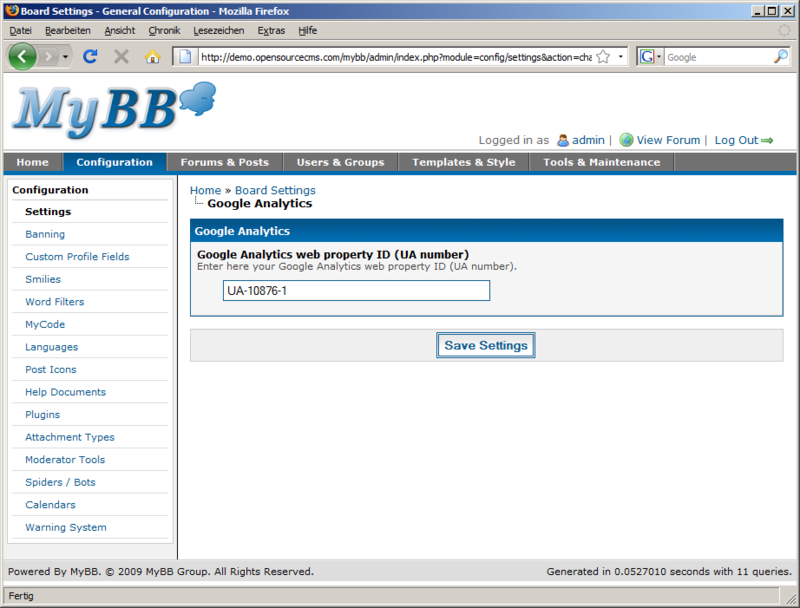 This is the GooAna - Google Analytics plugin for MyBB. This is very simple plugin to insert the Google tracking code to your pages. It requires only to specify your Tracking ID. A simple plugin to add Google Analytics to your forum.